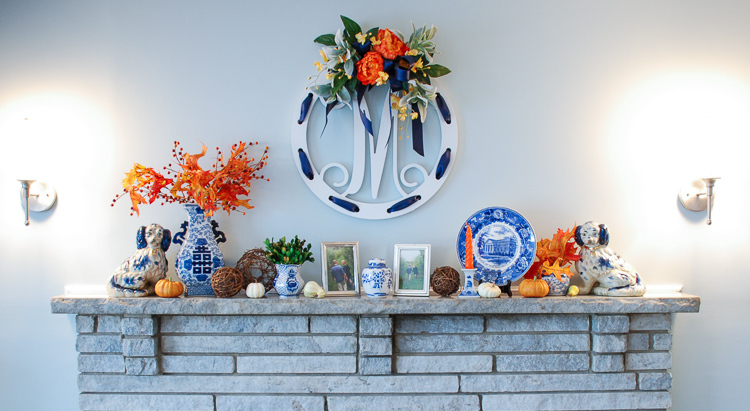 Decorate for autumn with a cheery blue & white fall mantel adorned with mini pumpkins, fall foliage, Staffordshire spaniels, monograms, and blue and white china! 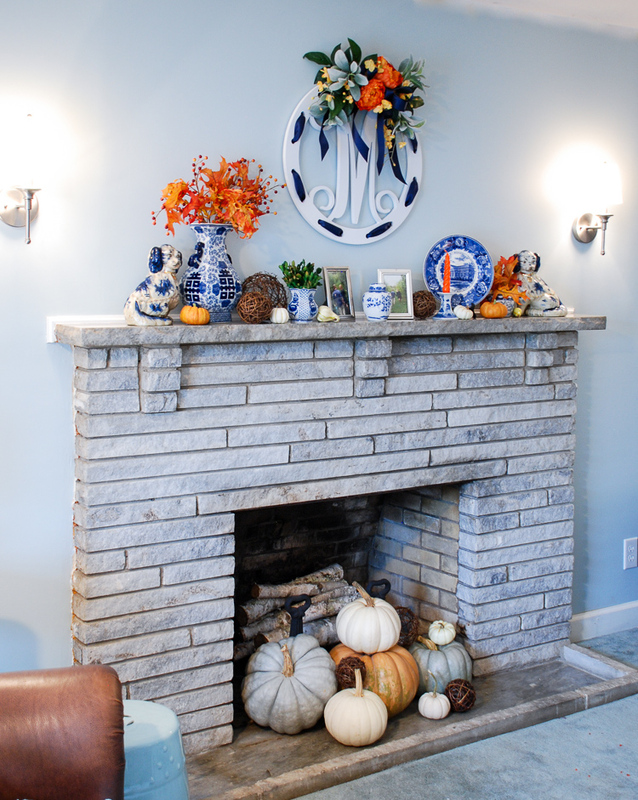 I had great fun decorating this blue & white fall mantel for my family room! 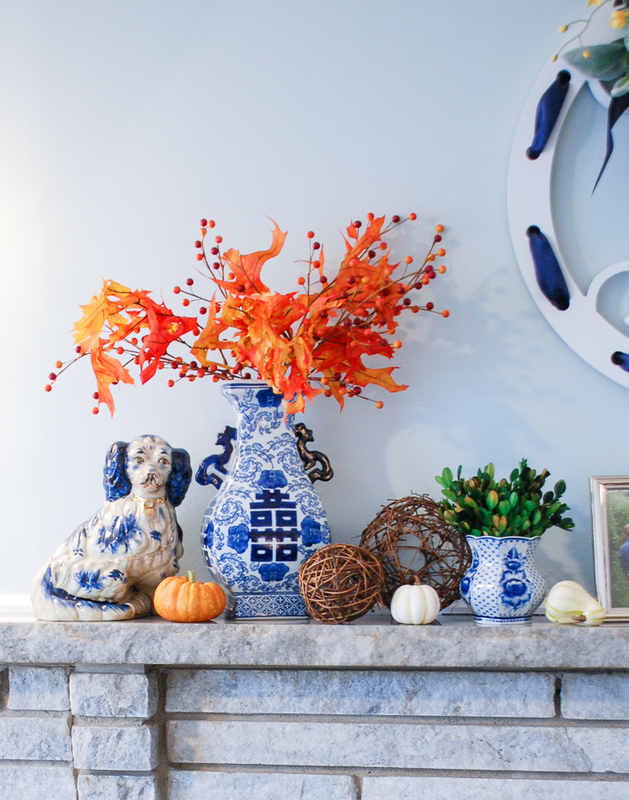 I basically shopped my house, rounding up my blue and white china, then adding a few classic fall elements with the mini pumpkins, fall foliage, and willow balls to create this look. 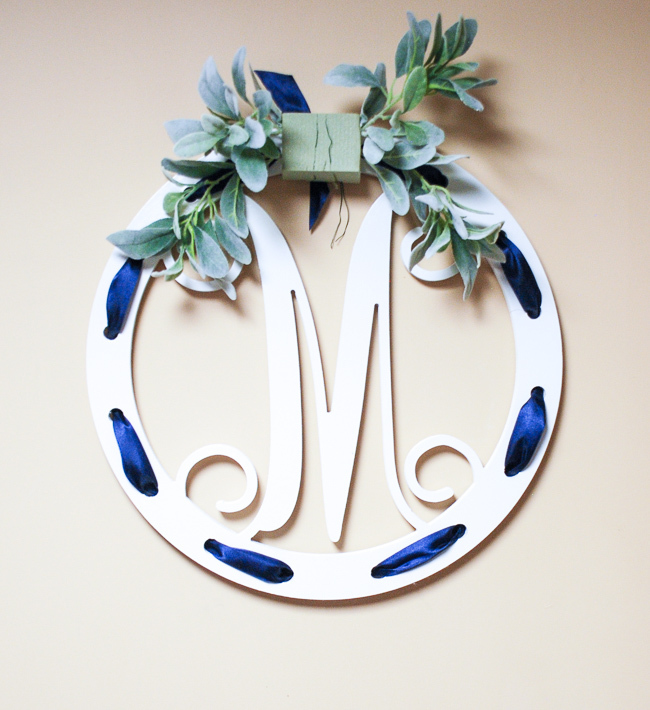 The monogram “M” sign was a gift from last Christmas that had been sitting in a closet waiting for the right inspiration. 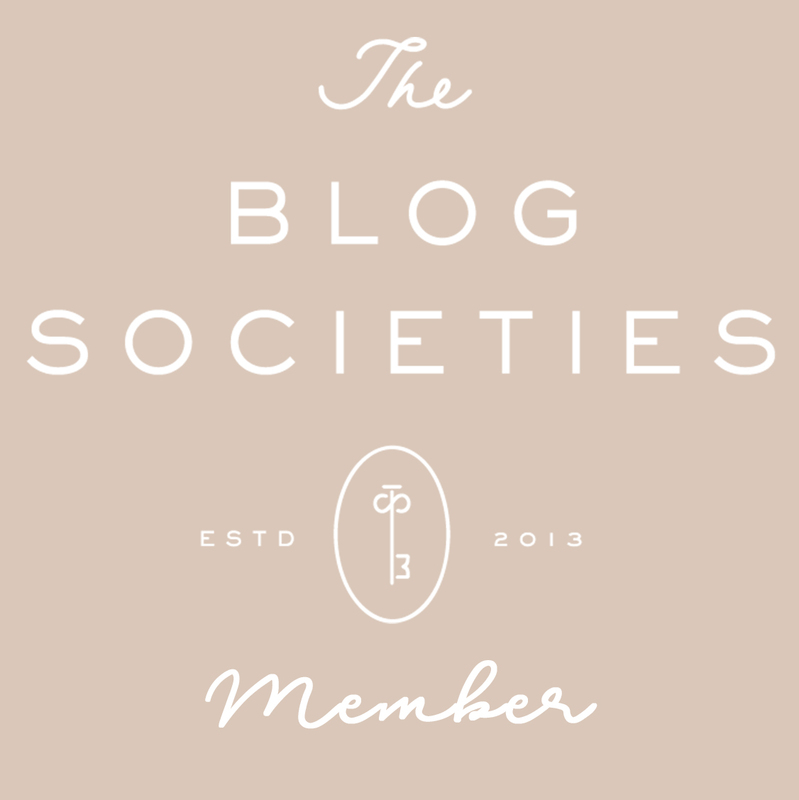 I’m sharing this DIY at the end of the post! 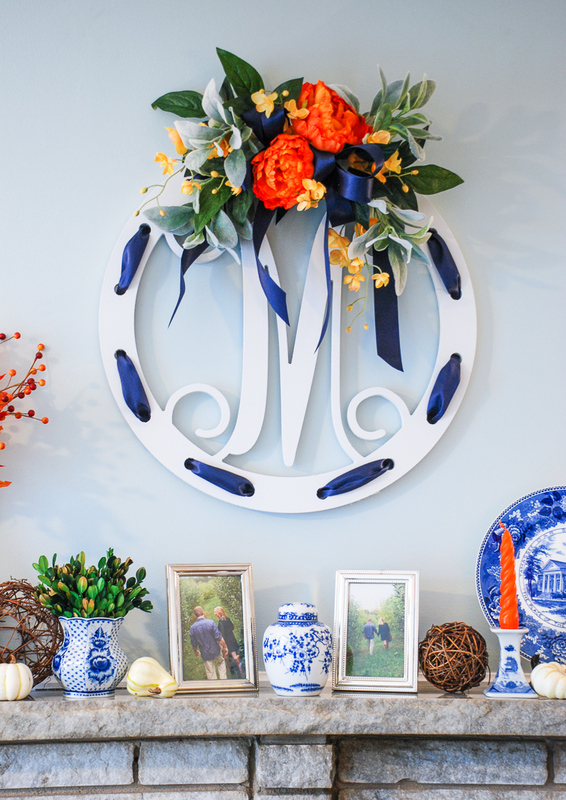 Blue and white is always a classic color combo, and adding in a pop of orange makes it perfect for fall decor. 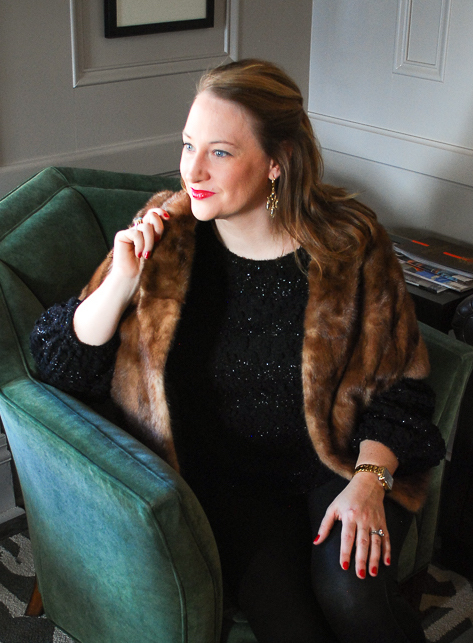 It is important to let your seasonal decor reflect your home’s color scheme and existing style, which is why the purples I had chosen for the rest of the house didn’t fly in here. Instead I let the room dictate the seasonal decor, and it works so much better. 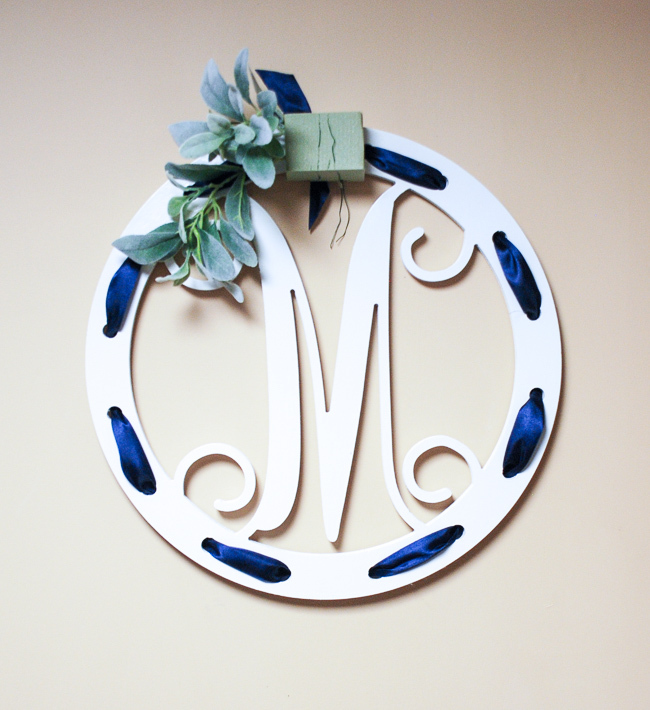 A really simple, but impactful touch you can make for seasonal decorating is to change out your framed photos. These are our engagement photos, which were taken in the autumn in an apple orchard. 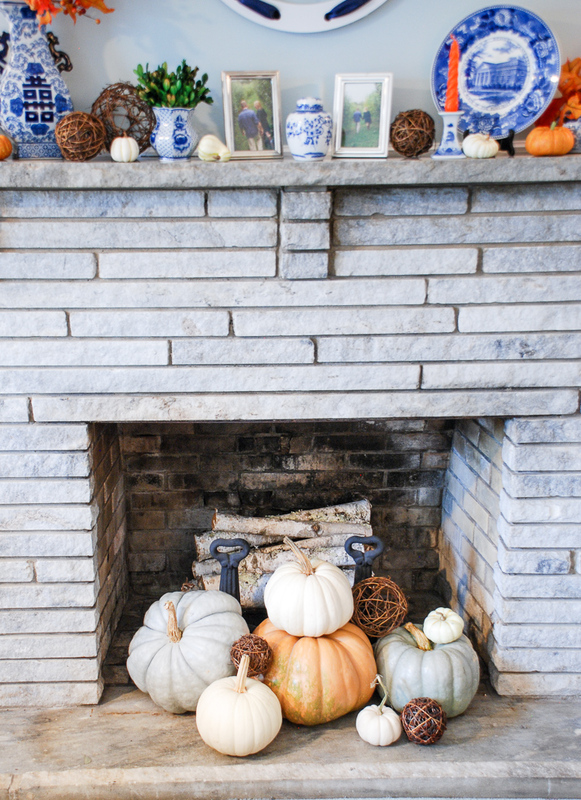 Fall is the perfect time to get these sweet memories out and incorporate them into my seasonal decor! 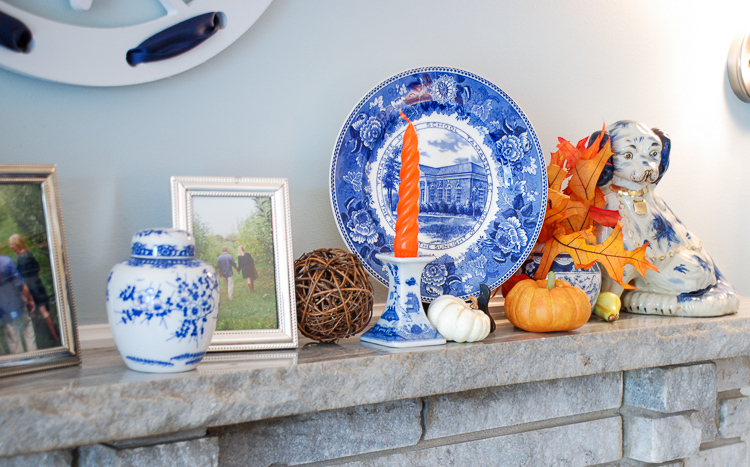 They add a special touch to my blue & white fall mantel don’t you think? 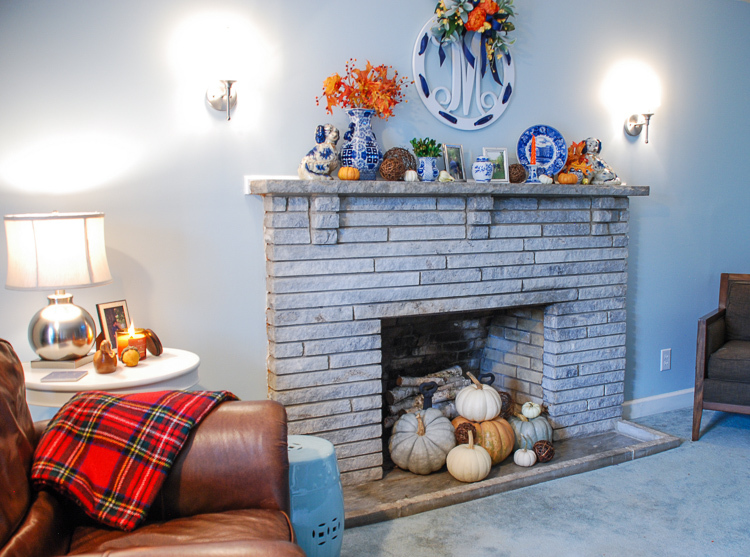 You can see my entire fall home tour here! 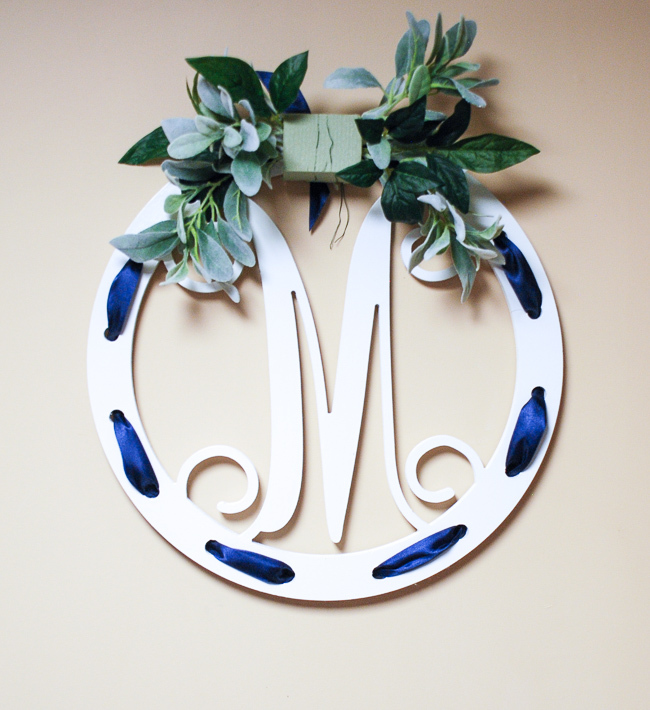 Wooden monogram sign. Check out this one and this one. Click through the slideshow to see each step! 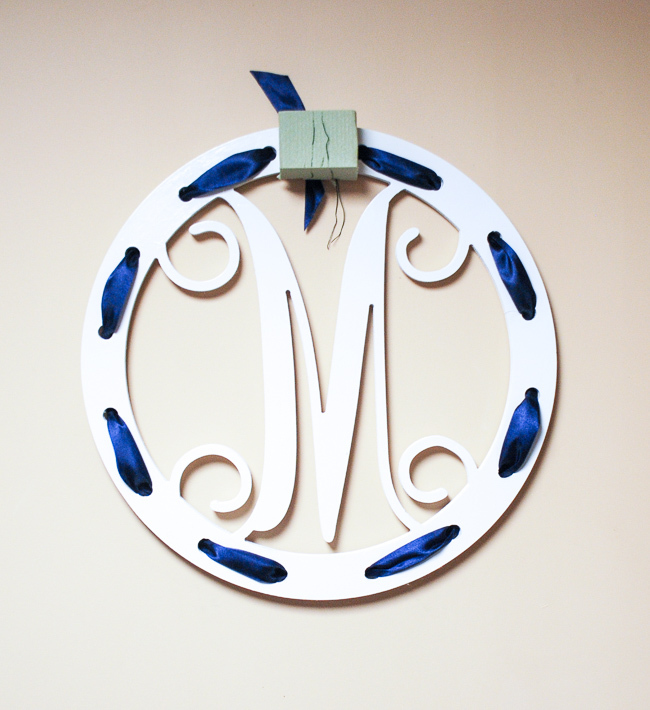 Step One: Paint wooden monogram. Thread your ribbon through the pre-cut holes. Tie it off in the back. 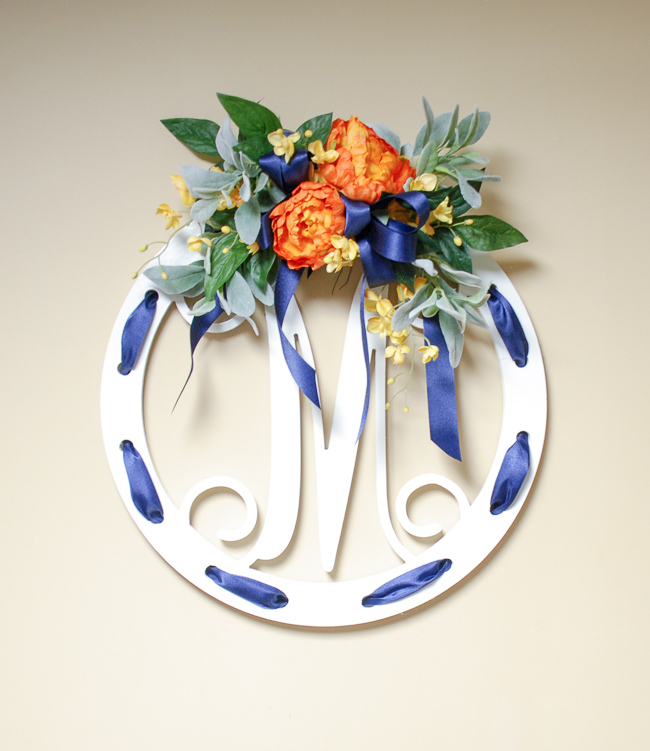 Attach a piece of dry floral foam with wire to top of monogram. Step Two: Cut leafy branches into 4 pieces 2 long and 2 short. Stick stems into foam. Step Three: Stick remaining 2 stems in other side, varying placement. Step Four: Pop off leaves from main flower stems, and layer in with first set of leafy branches. Step Five: Tie basic multi-loop bow. 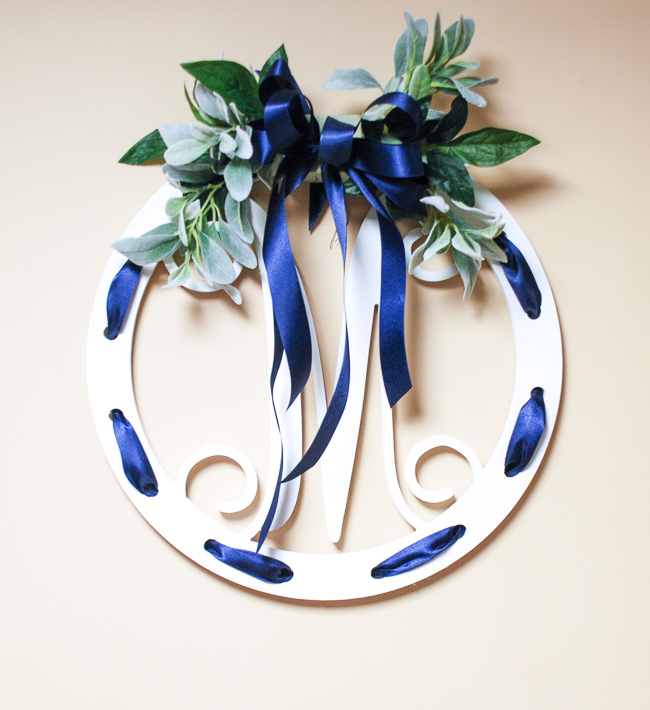 Add bow to center. Step Six: Cut main flower stems to about 2 – 3 inches long. Nestle two main flowers in center amongst bow loops with one flower towards bottom and one near top. Step Seven: Cut stems apart on secondary, smaller flowers: 2 long and 2 short. 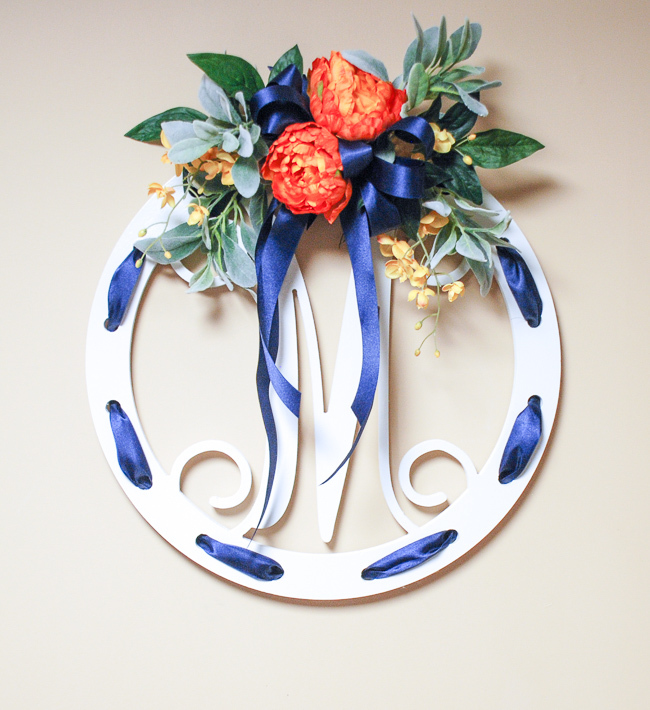 Use these to fill in holes and create contrast and texture between bow and main flowers. 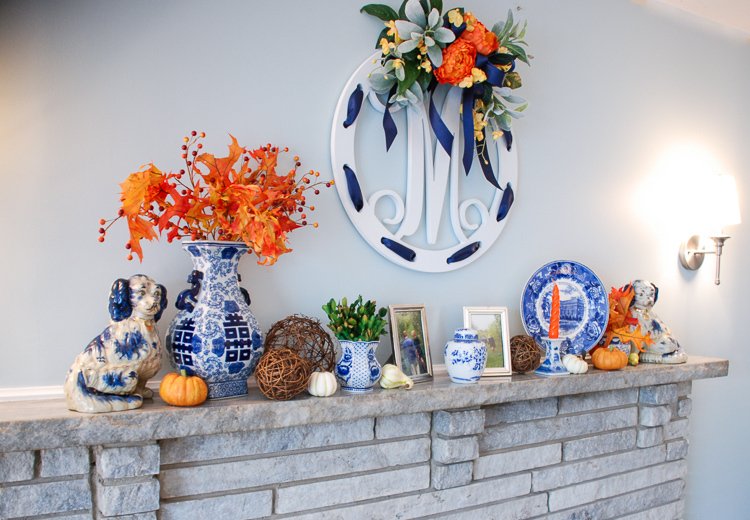 Thanks for stopping by and checking out my blue & white fall mantel! Too much on the mantel for my taste. Hi Marilyn! Do you like a more minimalist look? As you can tell I’m a bit more of a maximalist. What would you remove? Cheers!